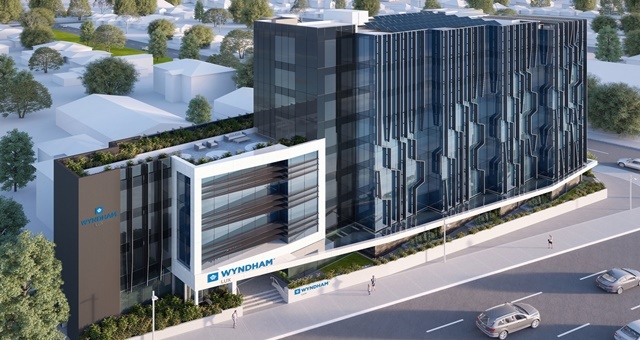 The future Wyndham LUX hotel in Perth will be the world’s first certified ‘green for life’. Western Australian development firm NXT TEC Ltd (NXT) is in the process of building the world’s first hotel to be declared ‘green for life’ through achieving a verified Environmental Product Declaration (EPD). Once complete, the hotel will become the Wyndham LUX Perth Hotel managed by Wyndham Hotels & Resorts. It will be located on the Great Eastern Highway in Rivervale and will feature 120 rooms over 10 storeys. EPD certifications are independently verified under the Australasian EPD Programme, which assesses the environmental sustainability in the entire life-cycle of materials used in the building’s construction, including where they are sourced right through to dismantling and disposal in the event of future demolition. The hotel will be constructed using the NXT Building System, which received the EPD certification based on its design. The system involves eleven separate technologies and will see the building pre-fabricated and assembled on-site, with foundation to completion expected to run for 12 months. An EPD assessment uses science to judge a building’s waste levels over its life-cycle, drawing on significant levels of data applied against strict rules. NXT TEC chairman and managing director Natasha Di Ciano said the process of obtaining an internationally-recognised EPD was not a simple one. “It requires collecting and analysing a substantial amount of data about the building’s life cycle – right down to determining environmental impacts based on where materials come from, how they’re transported to site, and the fuel efficiency of that transport. Wyndham Destinations Asia-Pacific SVP Acquisitions, Procurement, Project Management and Technical Services, David Wray, said the company was looking forward to managing the lifetime green-certified hotel once completed.